Motive is the innermost reason WHY you DO what you do. Great relationships don’t just happen by luck. Knowing who you are, plus understanding the personality you are engaging, offers you a tremendous advantage in life, both professionally and personally. 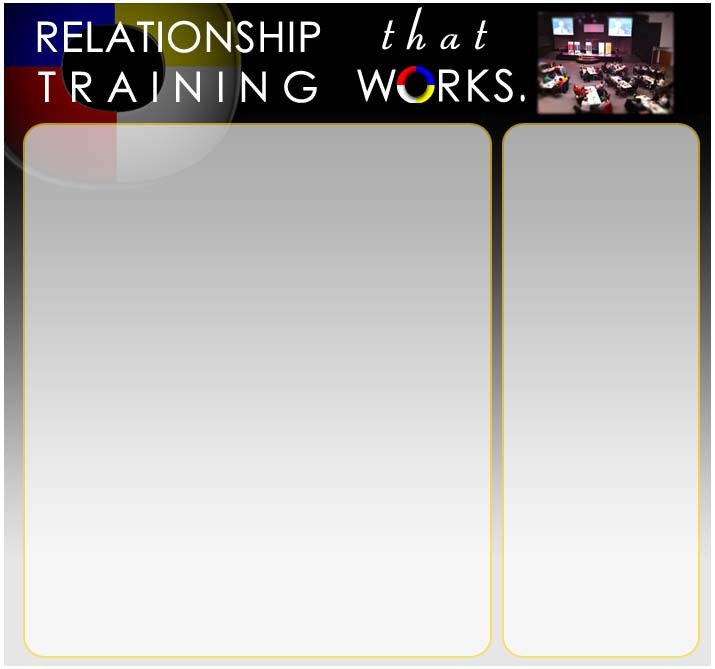 Our Motive trainers create a fun, informative learning experience, consisting of demonstrations, real life applications, videos and interactive breakout sessions, all designed to give you a clear picture of the strengths and limitations you can generally expect from a relationship.